Are Mort Klein and Hillary Clinton Lying About Their Health? Hillary Clinton’s fainting episode has justifiably caused widespread speculation about whether she is healthy enough to withstand the rigors of the Presidency. This brings to mind Mort Klein’s hysteria and panic attack while confronted with polite questioning in a deposition. 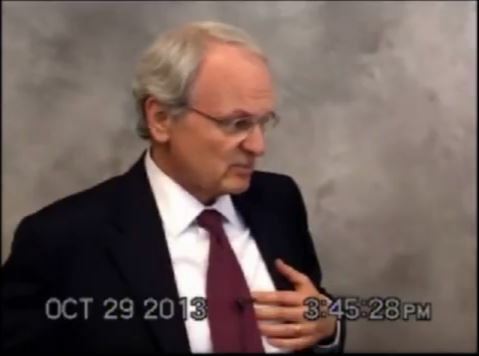 Watch this video and draw your own conclusions about Mort Klein’s fitness to be President of the ZOA. 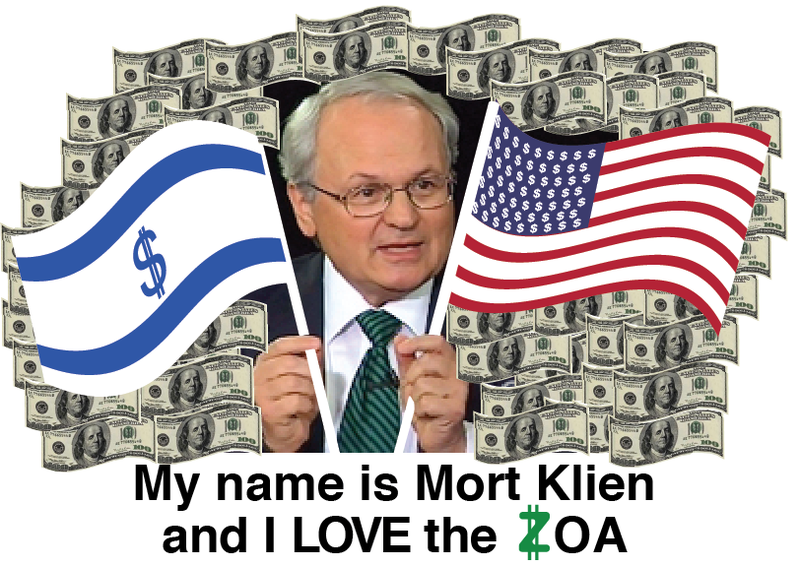 Mort Klein Takes More Than $1.5 Million from the ZOA In 2013! The ZOA recently filed its Form 990 for 2013. It discloses that for calendar year 2013, Mort Klein received compensation of more than $1.5 million. Here is a copy of page 15, which sets forth Mort Klein’s compensation, as well as the compensation of the next two highest paid employees. The link to the Form 990 in its entirety can be found here. Steve Goldberg was on the ZOA’s Board of Directors, and in fact was National Vice Chair, until March of 2014. The Board was never informed of Mort Klein’s extraordinary compensation for 2013, and certainly did not vote on it. A salary of this magnitude for the leader of a non-profit Jewish organization is shocking. No leader of Jewish organization has been paid anywhere close to this amount, including leaders of vastly larger and wealthier organizations. 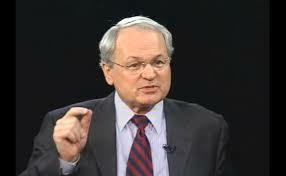 Mort Klein continues to take approximately 30% of all donations to the ZOA for himself. Upon reviewing the recently filed Form 990, Steve Goldberg sent inquiries to David Drimer, the Executive Director of the ZOA who operates under Mort Klein’s strict orders. Steve Goldberg accepted Mr. Drimer’s invitation to ask questions, to which Mr. Drimer sent an e-mail that refused to answer any of Steve Goldberg’s questions “under advice of counsel.” It is apparent Mort Klein and the ZOA have something to hide. You can read the e-mail thread here. So for the six year time period from 2008 through 2013, without a vote by the ZOA’s Board of Directors, Mort Klein was paid a total of $4,942,112 for an average annual income of $823,685, 333. During this time period the ZOA shrunk in size. For two of those years the ZOA lost its 501c3 status because it failed to file its Form 990s for 3 consecutive years. That’s some great management by Mort Klein. The ZOA’s Board of Directors has shamefully put its head in the sand. Imagine what the ZOA could have been done with all this money. Millions could have been invested in growing the ZOA, hiring qualified people, helping besieged Jewish students on college campuses, on activism, on advocacy in the United States and Israel, on lobbying in Washington, D.C. The ZOA could have been a larger and more effective organization. Israel and the Jewish people deserve better. If you would like to Save the ZOA, please contact Steve Goldberg at stevegoldberg54@gmail.com. It’s not late to turn around this once great organization. Steve Goldberg sent questions to ZOA National Executive Director David Drimer regarding Mort Klein’s $1.5 million compensation in 2013, and Mr. Drimer refused to answer “under advice of counsel.” Read the correspondence below. 1. Was the $1.5 million in total compensation for 2013 money that belonged to ZOA before it was paid to Mort as salary or put in the trust for his benefit? Put another way, were ZOA’s assets reduced by that $1.5 million? 2. Will Mort receive the $1.5 million? If so, when is he eligible to take it? 3. When did the Board approve this compensation to Mort, and are there minutes? 3. The Form 990 for 2008 reflects that Mort received total compensation of more than $1.2 million that year. I thought that figure included money set aside for his retirement. Is that correct? If so, how much, and why such a large amount again in 2013? 4. Who was the 3rd party compensation consultant who recommended such a large payment to Mort, when was he retained, when did he make his recommendation, was it in writing, and was it ever shared and discussed at a board meeting before or during 2013? If so, are there minutes of that meeting? 5. Who was the ERISA attorney who “reviewed in depth” the compensation to Mort, did he actually approve the figure, who suggested it to him, did he ever issue a report in writing, and was it ever shared and discussed at a board meeting before or during 2013? If so, are there minutes of that meeting? 6. My review of the recent Form 990s indicates that for the 6 years running from 2008 through 2013 Mort received total compensation of $4,942,112, which averages out to $823,685,333 per year. For the 13 years from 2001 through 2013 the Form 990s show that Mort received total compensation of $6,482,136, which averages out to $496.620.145, Do you disagree with my calculations? 7. Did the Board ever vote to approve such compensation? If so, when, and are there minutes? 8. How does Mort’s compensation over the 6 year period from 2008 through 2013 compare to the compensation of presidents of other Jewish organizations? Looking at the Form 990s, it appears that Mort’s compensation has comprised about 30% of the total donations do the ZOA during that time period. Are there other Jewish organizations who have paid their presidents such a high percentage? Is there any organization who has paid its president even 15% of total donations over that time period or in any one year? Has the Board ever concerned itself with whether Mort’s compensation is reasonable as a percentage of donations as compared to other Jewish organizations? If so, when did it consider the issue, what was done to investigate it, and what were the results? 9. What was Mort’s compensation for 2014, when was it approved by the board, and what were total donations for the year? I understand why Mort is defensive about this, and you are doing an excellent job trying to justify a decision you did not make. Nevertheless, a non-profit that pays its president more than $1.5 million in a calendar year without a board meeting needs to be able to explain why that happened. If no present board member has asked these questions, it speaks volumes about the quality of board oversight. Under advice of counsel, I am not going to answer each of your questions individually. I can pretty much summarize all the 9 questions into one. You apparently feel Mort was/is paid too much. You are certainly entitled to your opinion, but that opinion doesn’t jibe with the opinion of at least a majority of the Board – if not the entire Board — of the ZOA. Mort did NOT receive excess compensation. The ZOA clearly intended to pay the compensation and approved the compensation – it’s reported in the 990. It is a matter of public record. This includes the clearly delineated amounts from the Rabbi Trust. Many people within the ZOA have been involved in this, including outside counsel and compensation consultants, and the ZOA feels it has appropriately dealt with, approved, and reported Mort’s compensation. Rabbi trusts are appropriate methods of dealing with deferred compensation – and his payments above base salary simply come from that trust arrangement. I note again these were properly documented on the relevant schedules in the 990 over the relevant range of activity/timeframes. I acknowledge this is not as fulsome an answer as you had hoped, but re-creating the history of all of this would be overly burdensome given the other pressing matters I have to deal with. Most importantly, Mort’s compensation has been appropriately reviewed by the appropriate bodies within the ZOA and transparently reported on its IRS filings. In this interview with Shalom TV, Mort Klein equivocates when asked his position on carving out a Palestinian state from the land of Israel. The interview demonstrates his lack of leadership, not only in his refusal to take a position against the creation of a Palestinian state in Israel’s heartland, but also in his lack of composure, which elicits the mockery of the interviewer. Mort Klein hates this website and has retained a lawyer to threaten Steve Goldberg with civil litigation and criminal prosecution unless Steve takes down this website and gives Mort Klein the website domain name www.mortklein.com.